Do you want to learn more about the new WordPress 5 Gutenberg editor? Perhaps you haven’t had the time to work with the new editor yet, but want to get started? Or you are in need of a helpful resource to teach your clients or staff how the new editor works? Don’t worry, we have you covered! 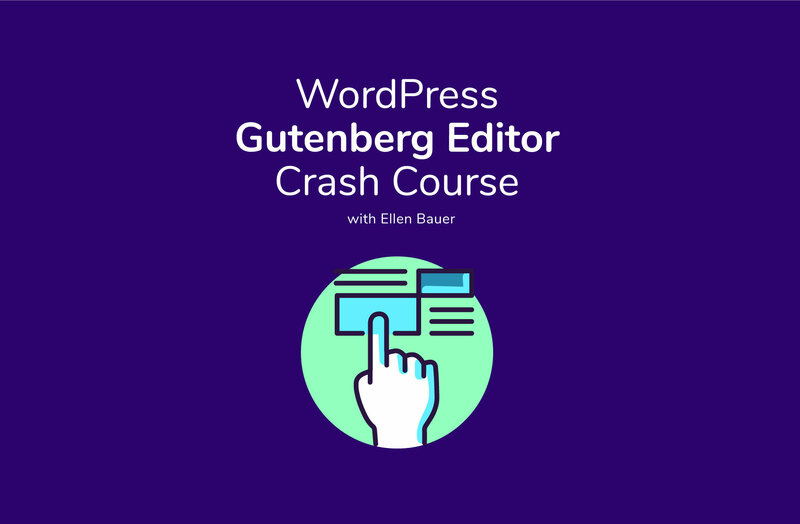 We have prepared a comprehensive and fun 2 day Gutenberg editor crash course for you. The course will run over coming weekends and you will learn everything you need to know about Gutenberg. Learn more about the concept of Gutenberg blocks. Get familiar with standard blocks. Find a suitable Gutenberg-ready theme for your website. Move your current content to the new editor. Learn to extend your block library with plugins. Get creative building custom pages in Gutenberg. Get a glimpse into the future of WordPress and what to expect in the next phase of Gutenberg-related updates in 2019. Learn how to disable Gutenberg for now in case your website is not suited to the new editor. Receive 2 hours of video material on each course day. Work through the course material during the day at your own pace. Use our moderated Slack course channel to discuss issues and questions during each course day. Join the evening live video meetings on each course day to discuss open questions. Revisit the course videos any time after the end of the course to reflect on everything you have learned. I hope you are excited to join this course, so that you can get your WordPress website ready for 2019 and make the most of all the new possibilities that the Gutenberg editor has on offer. If you have any questions, please write a comment below or contact me via our contact form. Ich habe das UBUD Theme bei euch vor ein paar Jahren gekauft und habe ein update auf Gutenberg 5.0 noch nicht gemacht. Vor Weihnachten hat man mir abgeraten. ICh denke, dass es jetzt kein Problem ist, oder? Darüberhinaus erstelle ich gerade eine neue Webseite und möchte WETA von Euch kaufen. Das Design gefällt mir und ich möchte es als Blog nutzen. Ziehe zum dritten mal mit Mann und Kindern ins Ausland – Shanghai. Also ein Expat-Blog. WooCommerce muss ich ja nicht unbedingt machen, oder? HAbe aber dann vielleicht die Option. Deinen Kurs würde ich gerne belegen. Würde das gleich buchen. es tut mir leid, dass ich mich erst heute melde. Du kannst dich auf jeden Fall noch heute anmelden oder beim nächsten Kurs in 2 Wochen mitmachen. Das ist ist auf keinen Fall ein Problem, sondern eher die richtige Vorgehensweise. Ich erkläre im Kurs genau, was du vor dem beachten solltest. Es gibt ja auch für das Ubud-Theme ein Gutenberg-Themeupdate. Das solltest du nach dem Update auf WordPress 5 dann auf jeden Fall auch installieren. Das Videomeeting findet Sa und So jeweils um 19Uhr MEZ statt. Wow, Shanghai, dort war ich auch einmal für ein paar Monate 2017, ist eine tolle Stadt. Und die Menschen sind sehr nett dort. ja auf jeden Fall, wenn du dich in deinem Elmastudio Konto angemeldet hast (über den Konto-Login im Hauptmenü) kannst du die Kursseite über den Link, den ich per Email verschickt hatte derzeit weiter einsehen. Falls du den Link zur Kursseite nicht mehr findest, schreib mir doch einfach kurz eine Nachricht oder sag mir hier im Kommentar noch einmal kurz Bescheid.